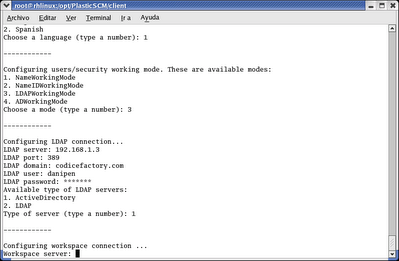 We have been working to release a linux PlasticSCM version. Thanks to our collegues of Mono and Bitrock, this target is quite close. An easy-installation of the product is one of our possitive points, and we want to keep it for the linux world. In non windows operating systems, we can perform graphical or text installations. You can see some snapshots of PlasticSCM linux installation below. The installer also has an unatteded mode. With this feature, you can perform massive unatended installations and configurations of PlasticSCM. 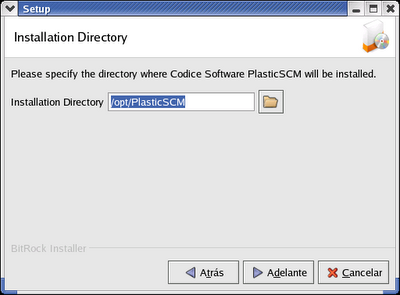 You will be able to install PlasticSCM in a lot of machines, only with a simple two-lines script! !